Micro Four Thirds cameras by Olympus and Panasonic are having an impact on digital photography. These "mirrorless" DSLRs provide high quality images and interchangable lenses, like regular SLRs, but are more compact. In this podcast I talk about Micro Four Thirds, what it is, and what's unique about these devices. You can also download the podcast here (29 minutes). Or better yet, subscribe to the podcast in iTunes. You can support this podcast by purchasing the TDS iPhone App from the Apple App Store. WPPI 2010 Las Vegas: Have you ever wondered what goes on behind those closed expo hall doors right before showtime? Here's a peek at the activities at WPPI half an hour before the show floor opens. Some vendors are already doing presentations for special invite audiences, while others are just trying to get their booth together. In this 2-minute video captured with a discreet Canon S90, you'll get a peek at WPPI that many never get to see. The world of Micro Four Thirds is a busy one. On the heels of Olympus announcing its Olympus PEN E-PL1, Panasonic unveils two new cameras: the high end Panasonic LUMIX G2, with its 3" 460,000-dot high-resolution LCD touch screen, and the more affordable Panasonic LUMIX G10 that features a 202,000-dot Live View Finder. Both cameras stick with the standard 12 MP resolution, but the G2 gets a processor upgrade, using the new Venus Engine HD II. We don't have pricing or release dates yet, however, Panasonic will give us a 30-day heads up for both cost and availability. My guess is that it won't be too far down the road. You might also want to note that this week's TDS podcast is on the Micro Four Thirds system. 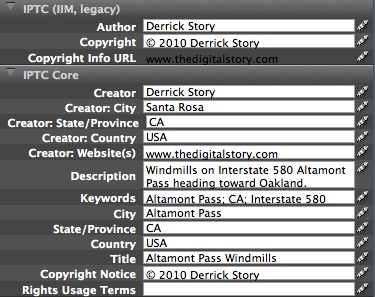 That show will be released Tuesday morning, March 9, 2010. The Digital Story Podcast App is the best way to stream or download weekly TDS podcast episodes. No more syncing your iPhone or iPod Touch just to get a podcast. And there's more! Tap the Extras button for free passes and discounts, the latest blog posts from The Digital Story (audio versions), and the current Grab Shot by our virtual camera club members. Each podcast episode has its own Extras button, too, that contains more goodies such as pro photo tips. 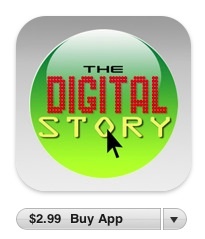 And the best part is, The Digital Story Podcast App is your way to help support this show.Download it today! "This was literally a shot where I grabbed the camera with whatever settings it was on, and snapped away," writes Anthony Zahra. "I had been taking random shots of my son playing cricket (weird English/Australian sport you guys never understand :) They wear all white, which was tending to blow out in the full sun, so I had a -EV setting when I saw this crow fly overhead. I grabbed the camera, which was sporting the Canon 70-200 f/2.8, and fired off a shot. 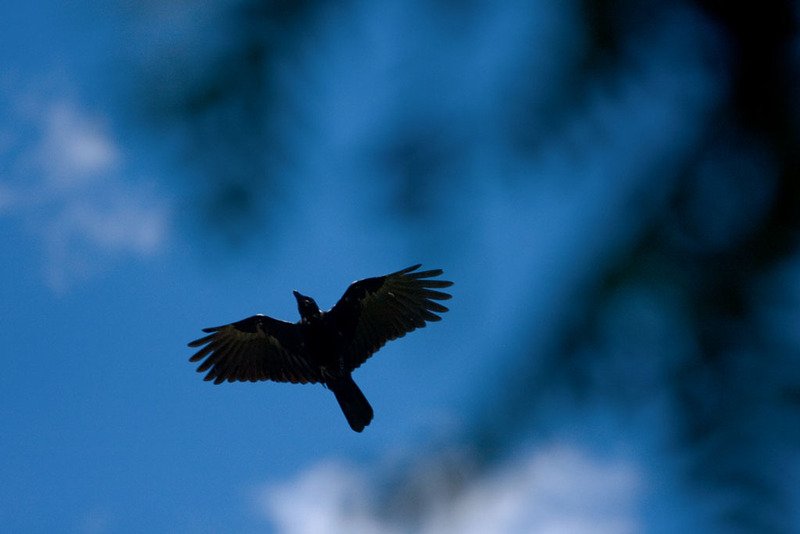 I liked the silhouette of the bird and softened tree branches against the rich blue sky." Anthony captured this image with his Canon 40D and a 70-200mm f.2.8L zoom. He was in Shutter Priority mode (from the cricket match) at 1/6400. At ISO 200, the corresponding aperture was f/2.8. Photo by Anthony Zahra. Click on image to zoom to larger size. 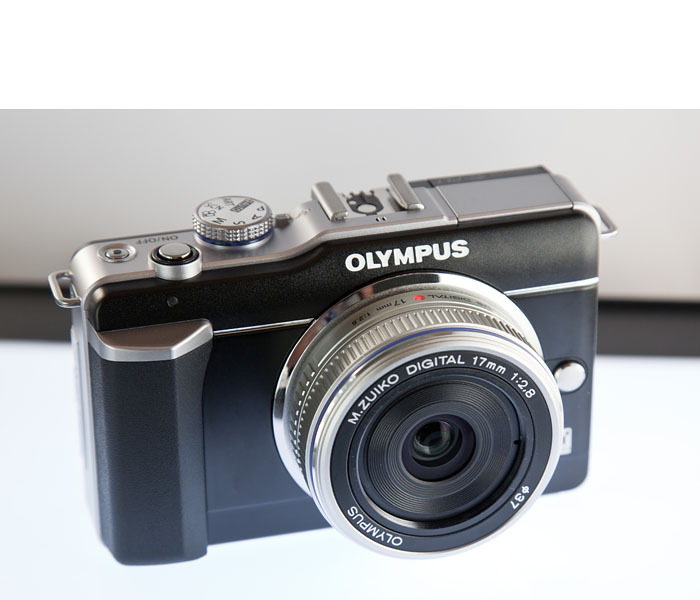 Now that the Olympus PEN E-PL1 is available, I want to highlight some of its most interesting features. Today, I'm taking the iAuto challenge. 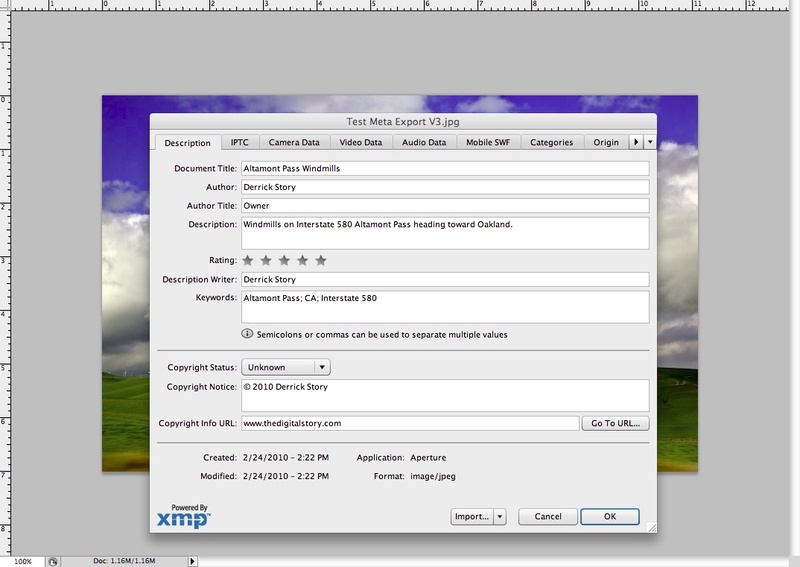 Most seasoned photographers wouldn't consider an "auto everything" mode on their camera. Normally, I wouldn't either. But iAuto on the Olympus E-PL1 is not your standard "the photographer is lazy" mode. In fact, it's just the opposite. I say that because in iAuto you have access to Live Guide. This feature allows you to intuitively adjust the image to your particular tastes before you press the shutter button. And the best part is, you make these adjustments using sliders that give real time results. You have five slide adjustments: Change Color Saturation, Change Color Image (temperature), Change Brightness (exposure), Blur Background (aperture control), Express Motions (shutter control). My favorite is Change Color Image, which via a slider, lets me adjust color temperature in real time. If I want to warm up tones, I use the up-arrow key until the image looks the way I want, and to cool, press the down-arrow key. I put this system to work in the ghastly lighting at the PMA 2010 trade show in Anaheim, CA. I wanted the carpet to be the color it was supposed to be, so I pointed the E-PL1 down and moved the Change Color Image slider until I liked what I saw. I shot Raw+Jpeg so we can see the difference between what the camera set automatically (the Raw version on the right), and the change I made using the slider (the Jpeg version on the left). As you probably figured out, Live Guide only affects the Jpeg. It's designed for Jpeg shooting, which isn't a problem with Olympus because their Jpegs are so good. But if you want a Raw version to tinker with in post production, Raw+Jpeg is available, as illustrated here. You have access to lots of other controls in iAuto too: drive mode, self timer, flash on/off, autofocus point selection, and live histogram. Plus, you have one-touch video recording using the red button on the back of the E-PL1. So in many ways, iAuto is really a creative mode. You can play with Live Guide via a simulator on Olympus site. Give it a go. I think it's one of the terrific new features on this $599 micro four thirds compact DSLR from Olympus . 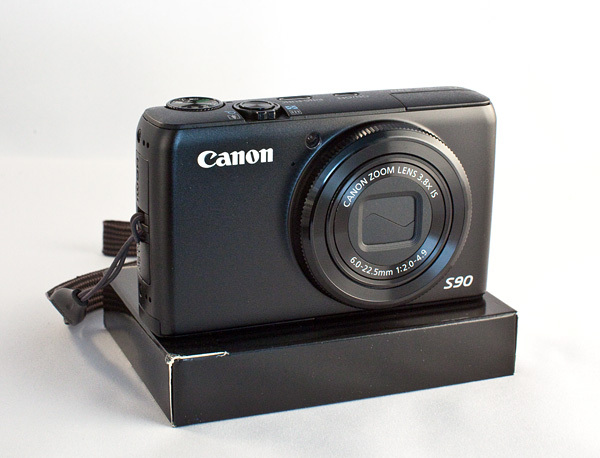 In my recent Macworld Magazine review of the Canon S90, I say that it: "might be one of the most powerful point-and-shoot cameras that you can slip into your shirt pocket." After using this compact for months now, I feel stronger than ever about that statement. This is a great camera. What really impresses me about the S90 is how much image quality it pulls out of its 10 Megapixel, 1/1.7-inch CCD sensor, which has only a fraction of the surface area compared to a four-thirds or APS-C sensor. Yet, in most lighting conditions, the Raw files, as well as the Jpegs, look terrific. When I'm traveling, I always keep the S90 on the front seat next to me so I can grab it in a hurry if something interesting appears. And thanks to its compact size, I have captured many shots that I would have missed in the past. 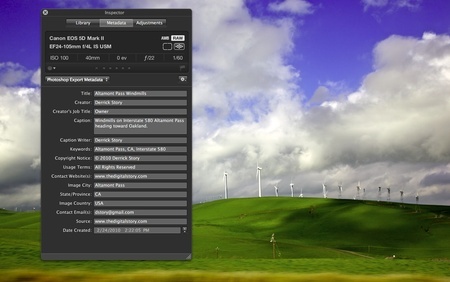 Things got even better when Aperture 3 was released, which can process S90 Raw files. Including Adobe Lightroom, Adobe Camera Raw, and Canon's own DPP software, we now have many options for working with these Raw files. Extremely compact and lightweight; outstanding image quality; Raw format support; excellent user interface. Lackluster battery performance; control dial on back can accidentally change settings; no HD movie mode. 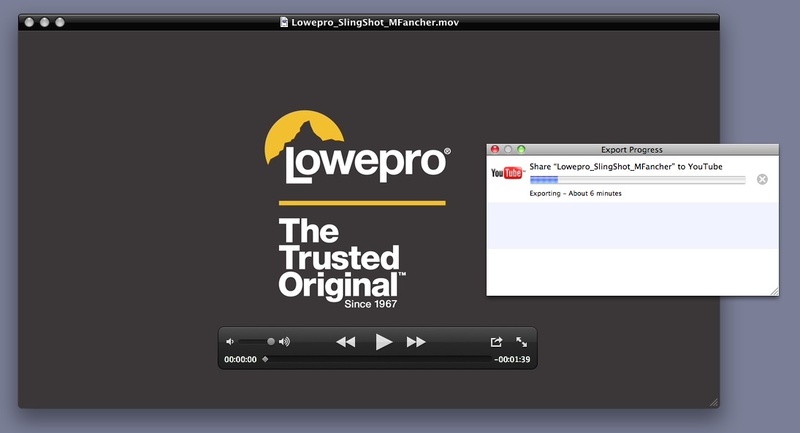 There are times when it's more convenient to connect your DSLR directly to a laptop for capture. You have a much larger screen for viewing images than with the 3" display on the back of your camera. This is particularly helpful during portrait sessions when clients or art directors want to monitor the shoot. 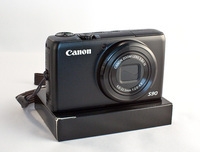 Canon's EOS Utility comes bundled with their DSLR cameras, and provides excellent tools for tethered shooting. Click image to enlarge. Product photography is another area where tethering makes sense. You can save a days worth of shooting directly to your computer's hard drive and not have to worry about changing memory cards. If you need to review fine details in the set up, that's much easier on a 17" monitor than on the back of a camera. I also like tethered shooting for shy subjects, such as birds. If you set up a feeder outside the back window, you can position the camera for a "bird's eye view" and monitor the activity safely behind the curtains without disturbing your feathered visitors. In my Macworld article, Shoot tethered to control your camera from your Mac, I cover a number of options for shooting tethered. 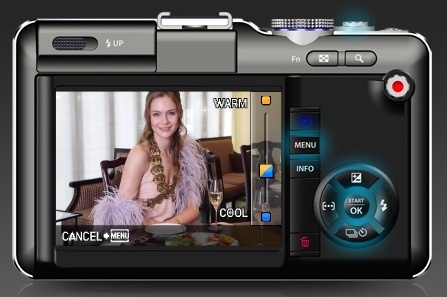 I also mention in the article onOne Software's DSLR Camera Remote application for the iPhone. I have a separate article dedicated specifically to that workflow that you might like too: iPhone Remote Control with DSLR Camera Remote. Regardless of your particular situation, shooting tethered is just plain fun. 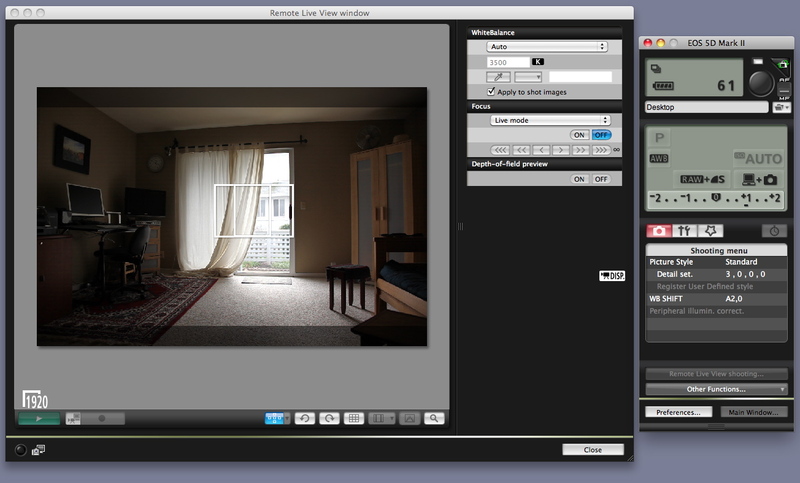 There's something cool about controlling your camera from a laptop. I guess any kind of remote control brings out the geek in all of us.